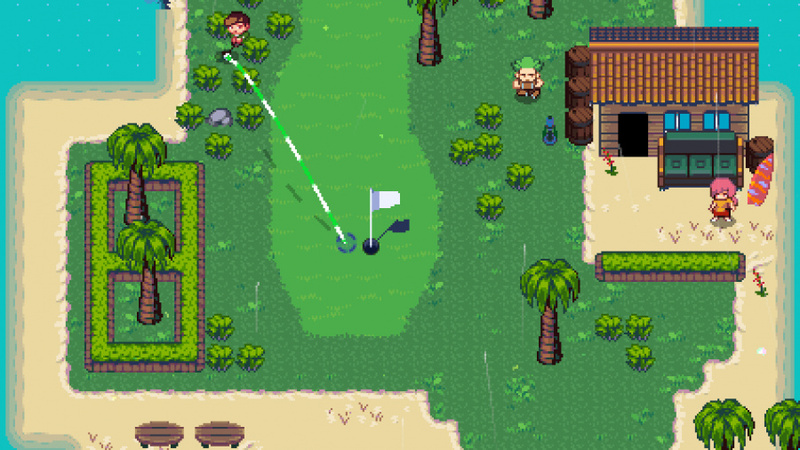 Combining both traditional RPG mechanics and golf, Golf Story brings together a heartfelt story and cast of characters with the mechanics of an arcade golf game. Today's Nindie Showcase revealed some new features as well as a new release window. 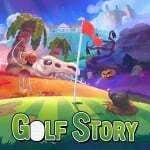 Featuring traditional golf, disc golf and mini golf, this saga contains the staples of classic RPG titles, with secrets to find, upgrades to earn and new courses to discover. This unique title will launch exclusively on Nintendo Switch this September. Really looking forward to seeing how this reviews. I have been waiting very impatiently for more information on this game since it was first announced in May. I can't wait to play it. I think I need to go outside. Exclusive to Switch? Are PS4/XB1 owners clamouring for this? I think not. What is this machine? A proper home console or a home for cash-in mobile games that wouldn't succeed elsewhere? €330 for a console to play NES styled mobile games? Not for me, thanks. It's not all bad, it's charming and marries 2 things I love, golf and RPG's. What is the point of commenting on a Nindie game trailer that sort of stuff? Seriously what sort of view of life do you need to reach that level of cynicism and apathy and ignorance all at once? Reminds me of the gameboy mario golf games. @crackafreeze I agree that golf works wonderfully as a video game, and having played the Gameboy Mario Golf titles I can attest that it works with RPG elements. Among titles we'd seen before I wanted release dates, hopefully soon, for this and SteamWorld Dig 2; we got them. I also wanted announcements of games we hadn't seen, both surprise ports and new titles; we got Kentucky Route Zero, Mulaka, and Travis Strikes Again. This was an excellent Showcase. @Timppis dude is still upset about Nintendo ending Wii U short life. This is a game that I've always wanted. Then they added disc golf and drones and my 8 year-old son and I couldn't stop geeking out. I really wanted news release date about stardew valley but golf story is a game I'm interested in and will purchase for sure. It looks really interesting. With any game, I ask, is this going to be fun, mildly challenging and not frustrating? This looks like it fits my criteria! Reviews and then a consideration if priced well. This and Statdew Valley and nos NMH are my most anticipated games as of right now. Even more so than Mario Odyssey. Is crazy I know! @Timppis don't engage; don't give him a platform. Right now he comes more and more as a troll sadly. A pretty bitter troll. I love the Nindies and I know is just a matter of time till we get more 3rd party retail games. Oh man. This is my must buy game for September. I was obsessed with Mario Golf for Game Boy, so this looks godly. Really excited that it's coming out so soon. Really hyped for this game. Glad to see it's releasing so soon! Right? He's the KING of whiners!!! All day long, every day...whine whine whine. @Gs69 Pocket Rumble is the game you're on about.The last I heard it was delayed without any new date given.It was due to release the month after Switch come out too.I'm sure we won't be waiting too much longer for it. For those who are impatient for a GBC/GBA Mario golf styled game. @SLIGEACH_EIRE What an utterly useless comment. Maybe you SHOULD go outside. Take a break from commenting on literally every single article ever. DAY 1 PURCHASE!! Can't wait Golf, great. RPG, great. Both together, incredible! Probably my top game from the showcase atm. I got a LOT of Earthbound vibes from the trailer. I'm not a golfing fanatic or anything, but this officially has my attention. SOLD DAY ONE! I just love everything about the tone of this game! Yes ! This looks great ! Switch needs more rpgs! Reminds me of Mario Golf on GBA. Which I loved. @Tortimer That's so cute. I'm 24, not in need of parental care, but can you adopt me, please? On-topic: I've never thought I would want a game like just (just like I didn't know I wanted a game like M+R: Kingdom Battle), but I want it. I'm so happy it won't be a long wait. Perfect fit between M+R and Mario's Oddysey, with some Sonic Mania on the side. Honestly, with all the releases this year, on other platforms as well, 2017 shapes up to be the best year of gaming in ages - for me atleast. @Timppis he just craves attention. He's nothing but only negative in any comment he posts here. What he should do is step in the shoes of a developer and make a game from scratch himself and let people give him the nasty comments and see what he thinks! This game looks like a blast. Reminds me of Stardew Valley, for some reason. Honestly guys, if SLIGEACH_EIRE makes the worst comments on the site then so be it! They really aren't that bad, and it shows what a chill community we have. @electrolite77 The solution to Nintendo's mistakes is buy a competitor console? It doesn't and shouldn't be that way. If you spend €330 after forking out €370 for the Wii U in the same generation by the way, then you shouldn't have to buy another system yet again. @Timppis He's sort of right, though. How many games are built for the Switch from the ground up? God forbid the Switch gets criticized! It is an all-perfect machine being handled perfectly by the company that makes it. Torches for all who criticize the Switch for that must mean they are also criticizing us! @ollietaro That's not why SLIGEACH_EIRE gets the response that he does. He's on my ignore list and I can't see a single thing he's said, nor anything said to him--and the reaction to him has spilled out into the comments anyway. Think about it: if I know exactly who everyone is talking about, there just might be a reason why. After playing Tiger Woods golf with motion control, I thought I could not go back to standard controls again. ... but this looks very good! @Timppis For reference, there is an Ignore button which can come in useful for shutting out any one-dimensional whine-gums that you're finding a bit much. Shouldn't has nothing to do with it. You do. Cold hard fact. You have had to buy more than one machine if you want to play Nintendo games and third-party games since the early 90s. You're either A) living in a complete fantasy land demanding something that has never existed and you were never promised OR B) You're not really that bothered about third-party games and actually prefer moaning on here about them (because it gets you attention) to going out and buying a system that offers them. Finally, a proper successor to the GBC and GBA Mario Golf games. There is a lot to be said about Switch that is not positive. However you put it there is still a vast difference between being a bit of a donkey and being critical. I wonder when Mario Golf does come out on the Switch, will it have the RPG mode as seen on the Gameboy variants? Because although MG World Tour was enjoyable, it had slim RPG elements that made SP mode lacking. 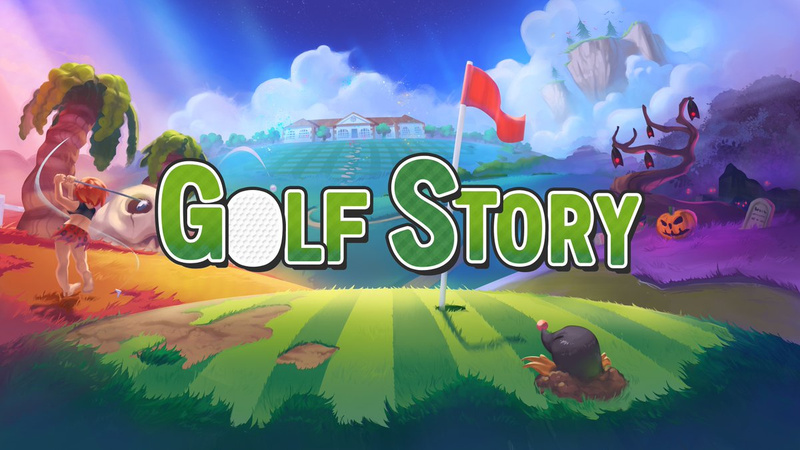 I'm happy that Golf Story is a thing. And awesome that it has Disc Golf. I actually played that sport a lot earlier this year until it got hot. I strongly recommend playing it IRL. It is a satisfying sport to play. Been waiting for this one. Can't wait! @SLIGEACH_EIRE Then why waste your time watching this and commenting? Do you seriously have nothing better to do? I've made a game out of opening Switch-related articles and scrolling to the comments, because there you'll be, complaining about it again. Im not really a golf fan but this game looks really good. @Milton_Burle That's exactly why I am interested in this, its taking that Mario Golf from Gameboy color vibes and tossing it into an RPG. The gameboy colour and advance games for Mario Tennis and Mario Golf were my childhood! I hope this has a similar charm and playability. I loved both Mario Gold for GBC and Mario Golf Advance Tour for GBA. It was a dissapointment that Nintendo and Camelot butchered the 3DS releases so badly - the RPG elements were godly! So this is day one - it will scratch the itch the GBC/GBA games left, golf with RPG elements works impressively well! @Luna_110 "Butchering" is a bit far but yeah I miss the RPG! @PanurgeJr I was not aware that that user is a troll (?). I simply looked at their comment and thought, "he's got a point there". @ollietaro That's the thing: he's not a troll, because he does have a point and he's not expressing it just to get a reaction. Oftentimes he is correct and disagreeing with him would be acting as a blind apologist for Nintendo. But ultimately this is a fan site, and there comes a point where fans, no matter how honest the criticism may be, just don't want to hear it anymore. Imagine your local sports team is having a bad season, you're at a bar watching them lose, and there is a guy who won't stop talking about how bad they are--would it be at all surprising if the entire place told him to shut up and let them watch in peace? It wouldn't be because they thought he was wrong and that the team is good. Everyone knows what he thinks about a variety of topics, and he's earned a fair share of the "yes we know" 's that he's gotten. Of course, this being the Internet he also gets a good deal more than he deserves, so people are correct to call out some of the more pointed responses he receives. @PanurgeJr Yours is a good, clear explanation of the situation. Could it be the "bad season" was the Wii U and that's why ppl don't want to hear any more poo-pooing of Nintendo systems? @ollietaro I think people just feel Nintendo gets more than its fair share of criticism. I suspect the fandom is overreacting, but that's what fans do. @PanurgeJr I can't find much to fault with Nintendo. I buy their games almost exclusively. 'Fun' has always been the word du jour with Nintendo. @Gs69 Pocket Rumble? After the developer's last update all is silent again. I wouldn't think there would be THAT many bugs to still work out, but I've been waiting patiently on that one. In regards to Golf Story, this one is supposed to release this month and there's only one week left to September. I wonder if it will make it.